What is the world’s fourth most populous country? Indonesia, of course! Needless to say, this quality makes the country a very attractive market for General Motors: with plenty of potential customers in such a large country, The General is willing to do whatever it takes to sell cars in there. And as you may have heard (or realized) by now, many Americans have a negative perception of GM due to our favorite automaker’s ties (read: part ownership) to the U.S. government. But contrary to U.S. sentiment, however, Indonesians see GM’s Washington ties as a positive trait for General Motors vehicles. Chevrolet salesmen in Jakarta, the capital of Indonesia, say that customers are expressing a strong interest in the new Chevrolet Cruze due to the car’s relationship to the U.S. President. Specifically, Indonesians believe that President Obama likes Chevy’s new compact sedan – making it more desirable to them. It seems to be that Obama lived in Indonesia for some time as a child and his assent to U.S. Presidency has made him somewhat of a hero back in Indonesia. 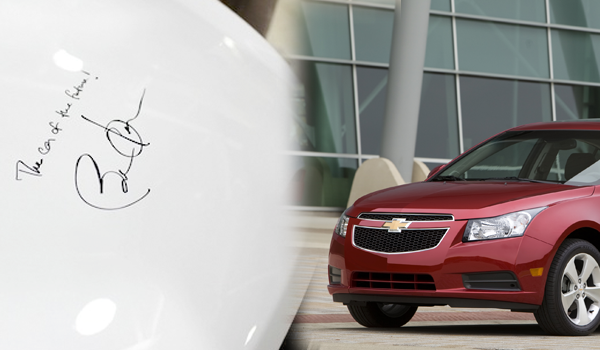 Consequently, the attention the President has given to the Cruze is moving metal in Indonesia. 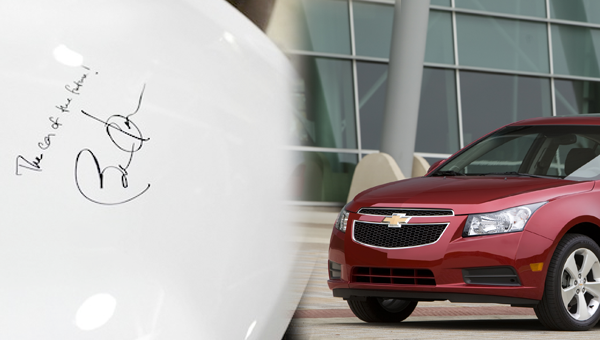 Recently, Barack signed the hood of a Cruze during a tour of GM’s Lordstown plant and even pronounced it the “car of the future.” According to Chevrolet dealers in Indonesia, this shows that Obama himself is interested in buying the car, making it more appealing to native buyers. Right now, GM needs should take any help it can get – and the President’s endorsement of the Cruze may be just what the automaker needs to succeed in Indonesia.